This card is for my husband. The sentiment is enough. It’s not a card for a special occasion, or an anniversary, or anything like that. It’s simply to show him how I feel. 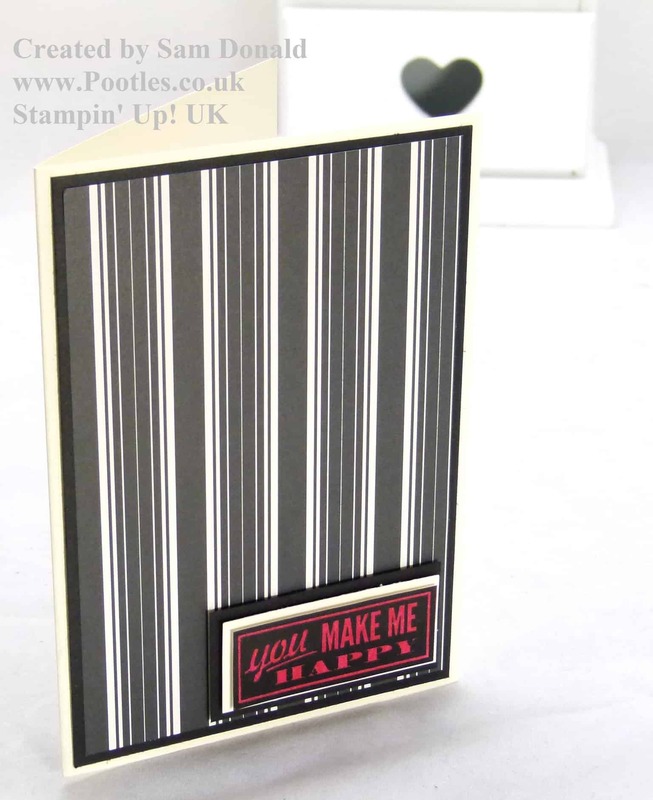 He’s fantastically supportive of my Stampin’ Up! business. And while he perhaps doesn’t know what “eeeek, I’ve promoted to Silver 1” means, he’ll give me a huge hug and cuddle and tell me how proud he is of me! It’s a standard A6 card blank of Very Vanilla Cardstock, with a layer of Basic Black Cardstock and a mat of Modern Medley Designer Series Paper. 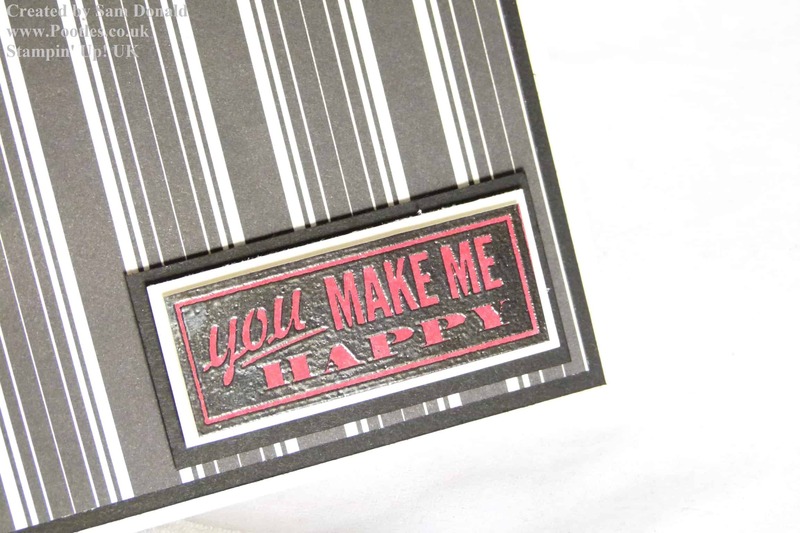 For the sentiment, I heat embossed with black embossing powder over versamark ink, then sponged Real Red ink in the relief and hand cut it out. Finally, matting and layering it onto Basic Black cardstock, Very Vanilla cardstock, and popped up on dimensionals.